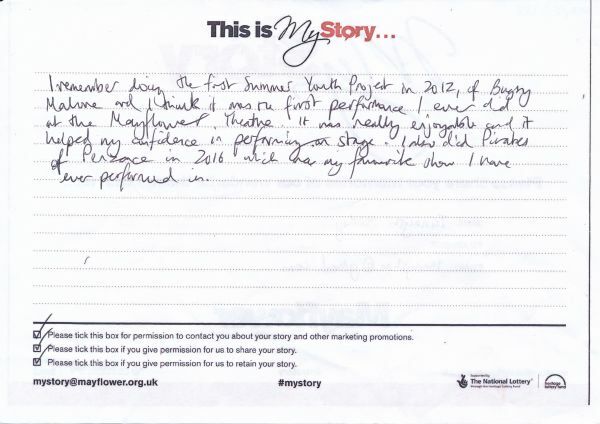 My Story card: Tannyth Morley remembers her first two SYP productions. I remember doing the first Summer Youth Project in 2012, of Bugsey Malone and I think it was the first performance I ever did at the Mayflower Theatre. It was really enjoyable and it helped my confidence in performing on stage. I also did Pirates of Penzance in 2016, which was my favourite show I have ever performed in.